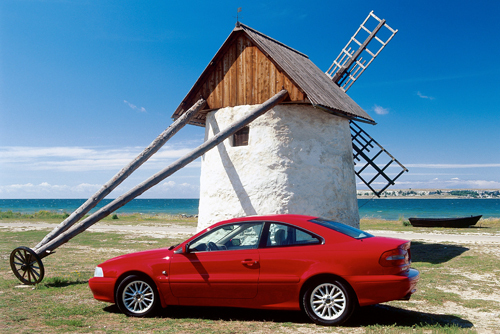 2001 – Volvo C70 Convertible on Ekstakusten with the island Stora Karlsö in the background. 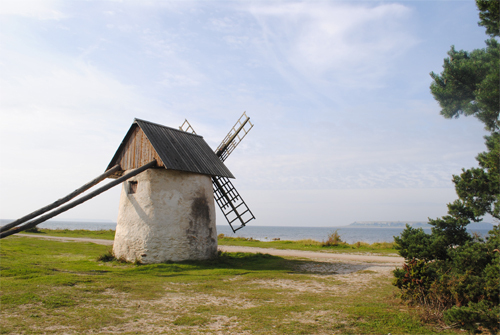 The Tomsarve kvänn can be found at the Ekstakusten on Gotland, Sweden. 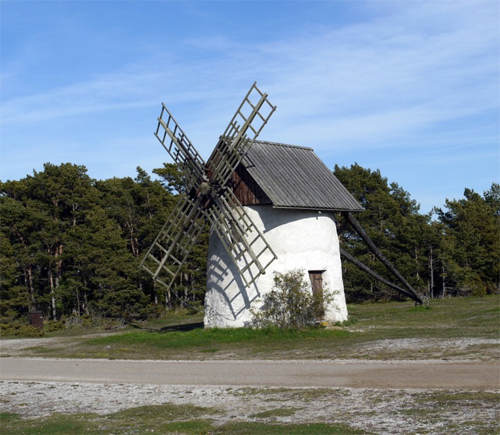 The mill is located in Ekstakusten Nature Reserve just north of Skansudde. It was the restored in the early 1990s. 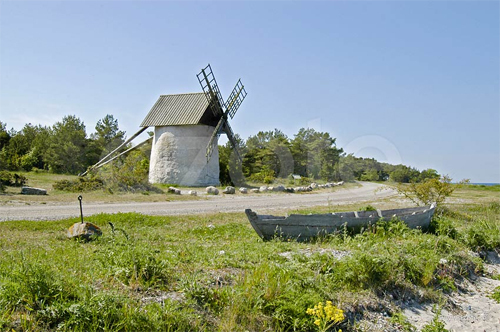 The Ekstakusten is a nature reserve in Eksta parish on the western side of the Gotland island. 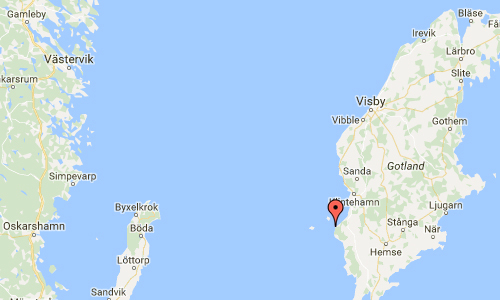 The nature reserve covers a distance of 6 kilometers along the coast inside Karlsöarna from Djupvik to Hammarudd, Gotland’s westernmost point. From Djupvik in the north to Hammer Island in the south extends EkstaKusten Nature Reserve, considered by many as one of the most beautiful places on the island. The coastline is characterized by shingle and further into the country is growing a beach forest of conifers disciplined hard by wind and salt spray. During a walk along the beach you pass two beautiful fishing villages: Djupvik and Kronvall. 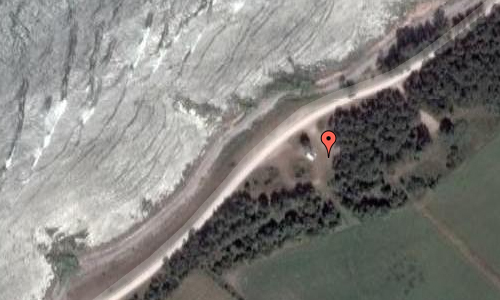 In the latter, the spectacle has Kronvall button previously been set up. From Ekstakusten you have a great view toward the Stora and Liten Karlsö. More information at sv.wikipedia.org and www.gotland.net.